Trainer Tip Tuesday: How to Make Kale Taste Better, dare I say Delicious! | Eat, Train, Thrive! 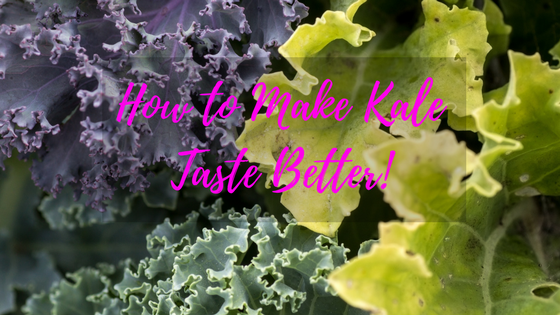 How to Make Kale Taste Better, dare I say Delicious! I’ve been on a KALE kick lately. I’ve been eating it as the primary base in my salads, whereas b4 I had to have it mixed in with other greens. Kale is usually bitter and tastes like dirt when you eat it alone. Am I right? !😂🙅🏾‍♀️ Nobody wants to eat dirt, lol! Massage the Kale, make Love to the Kale! Put some tasty toppings on it! Check out my Facebook Live on how to make tasty Kale! Grab your Free Gift below by clicking on the graphic! Sane, Simple and Sustainable Fat Loss: How to Build Your Plate for Fat Loss.